Ipod Nano in great Shape. Can listen to downloaded music via Bluetooth (wireless headphones). At most, the following morning. Trending at $122.19eBay determines this price through a machine learned model of the product's sale prices within the last 90 days. All the buttons and touch screen work well. The iPod is in very good condition. No other accessories will NOT include, such as headphone, the original box, and manual. Charging Cable. Listen to music on the go with this SanDisk Clip Sport Go digital music player. SanDisk Clip Sport Go. Expert Service. Unbeatable Price. Supported File Formats: AAC, MP3, FLAC. Color Category: Red. 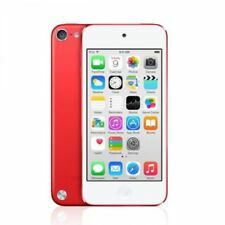 Apple iPod nano 7th gen 16gb Red. Item is straight from Apple. Trending at $199.99eBay determines this price through a machine learned model of the product's sale prices within the last 90 days. The red Sony NW-E395 Series Walkman Digital Music Player supports playback of PCM, AAC, WMA, and MP3 audio files. There's an integrated dynamic normalizer and five-band equalizer as well. 16GB on-board storage. Shipped with USPS First Class Package. Open box. It appears to have very minimal usage. One Business Day Handling. Microsoft Zune 80 Red (80 GB) Digital Media Player. Condition is Used. Hasn’t been used in years. Charges just fine. Includes charger, box and paperwork. No headphones. For sale is this 8gb 5th Generation Red Apple Ipod Nano. Trending at $51.74eBay determines this price through a machine learned model of the product's sale prices within the last 90 days. Apple iPod classic 4th Generation U2 Special Edition Black/Red (20 GB). Condition is Used. Shipped with USPS First Class Package. Fully functioning. No accessories included. Charges. Not sure how long battery lasts, but seems to be decent. I don't have itunes to clear my old music off, so buyer will need to clear or keep these songs. Thanks! The iPod is in excellent condition and fully functional. "We will describe the item to the best of our ability. 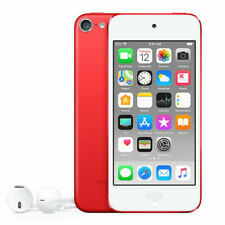 Apple iPod nano 7th Generation red (PRODUCT) (16 GB).